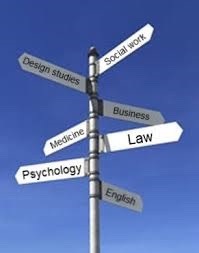 The focus of this week’s blog about the process I am going through applying to university is to highlight the best ways of seeking advice and why it is important to be firm when making sure your provisions are met. It is vital to remember that if you want to go to university, the course you eventually decide to do should be what you base your decision upon. For example, I have decided that I want to go to a university that does the best journalism course for me and this is Winchester. Due to the nature of the course there are many small audio booths and newsrooms that I have to access like any other student so there are still quite a few structural modifications that will have to take place but I do feel to a certain extent the university have to provide me with the right provisions. I don’t feel going to a university that is in another part of the country is a necessity, since I have chosen to go to university nearby because I do not want to be in a situation where I find staying in accommodation a lonely experience. The fact that home is not a million miles away means I am likely to feel comfortable in the knowledge that I am not on my own. The most important thing to do though is what you feel comfortable with, equally staying in halls is not a necessity for some people. In order to receive the correct support for your needs while you are at University you need to have a think early on about the way you are going to go about it. I decided to get in contact with a care management agency called Ask Jules, who will hopefully help me along the way to get the right support in place, both academically and in terms of personal care. They have the attitude that both needs are as important as each other. It is important to have people that are on your side throughout the application process. Although there are people who can help, it is important that you use the application process to be more independent as,whether you decide to stay in halls or not, independence and university go hand in hand. Detail is key when applying to university, especially if you have extra needs. Sometimes I have taken extra hours to fill out forms as I know in the long term this will be beneficial because the more detail I go into the better my overall university experience is likely to be. Also, you are probably the best person who knows about your condition and personal needs. Advice about the equipment you may need when you are at university does not get handed to you on a plate, social media is a wonderful thing and most of us use it all the time so why not utilise these networks to obtain information about applying to university? Many have been through your position before so don’t be afraid to seek crucial advice from others sharing their experiences. Another way of collecting useful information is by arranging meetings with schools, organisations or colleges that specialise in giving technological support to disabled students. That way you have more information about what your needs actually are, as one of the big problems when passing on information to needs assessors or the university is that we don’t know ourselves the support we may need when we are at Univesity. I had my eyes opened last week at Treolars College in Alton, Hampshire when I looked at a range of different assistive softwares that could help me to access my journalism course like any other student. Tune in next week for more advice on the university process where I will be able to feedback on my needs assessment that I have had to do a lot of preparation for. If I get that right, I am hoping it will go along way to making sure my needs are met. Part 2 of Sam Waddington’s recent experience about applying for University.